Quattro, is known as IV in the Japanese version, Four in the Italian version, and was born Thomas Arclight. He is a Number Hunter and the Champion of Asia. He was involved in Shark’s sister’s accident which resulted in her being hospitalized. He is the most violent sibling of the Vetrix Family, with the majority of his actions motivated by the prospect of restoring his father to his former form and sanity. Upon his defeat, he apologizes to Shark and implores him to save his father. Quattro has a long, cross-like scar running down the right side of this face, and like his brothers, Trey and Quinton, has a crest on his body; his crest is purple and on his right hand, which resembles fire and lightning. 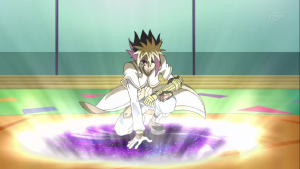 He has a purple Duel Gazer-like pattern that appears around his eye similar to his brothers, Kite Tenjo, Dextra and Nistro, although he has worn a regular Duel Gazer in the past. He has large, spiky layered dark red and yellow hair and dark red eyes. Like Trey and Quinton, he wears formal medieval-style attire that consists of a long flowing coat with white pants, boots and a shirt which all feature a curly, high-class pattern. Quattro’s D-Pad has the appearance of a red blade which separates into three sections. He highly resembles Takuto Tsunashi from the anime Star Driver. At first, Quattro acted as a sadistic and malevolent Duelist who wanted to make his opponents suffer, with what he calls his “fanservice”, in order to win (in the dub, he refers to it as “spoiling” his fans”). When in the presence of his fans, his personality becomes a facade as he hides his true nature and becomes a “noble” and “well-mannered” person who acts friendly and benevolent as well as adopts a sweet and slow-tempered demeanor. 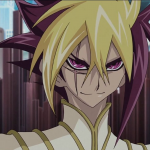 He sees his fans as bad Duelists and challenges them as his “fanservice”. 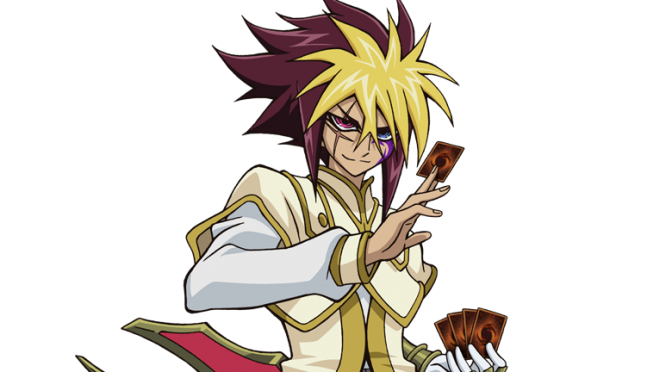 When he Duels, he initially praises their skills and lets them think they have the upper hand. 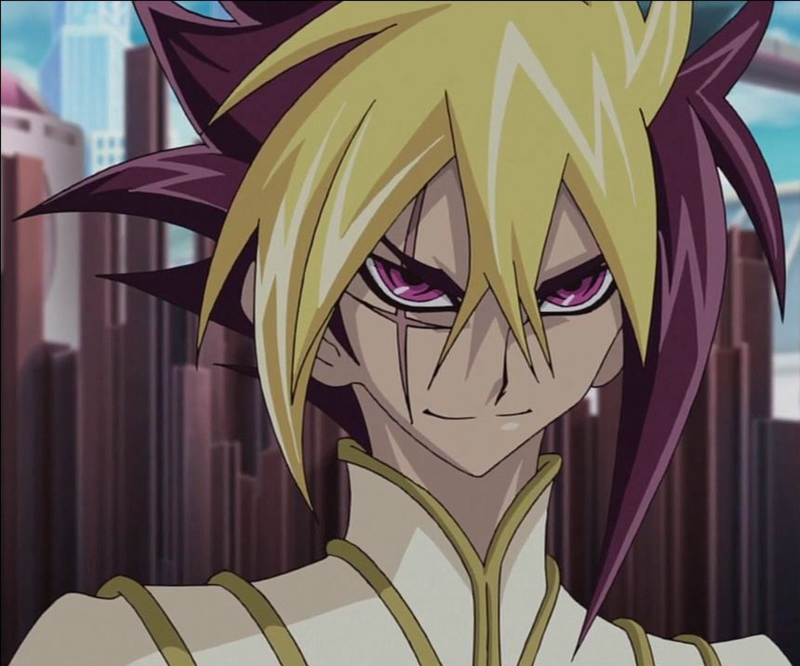 When his opponents fall into his trap he shows his real self and defeats them cruelly, going so as far as to keep attacking his opponents even if they have no Life Points and claiming his “fanservice” must continue. Quattro argues a lot with his brothers, showcasing that he is willing to let his anger get in the way of their true goal and doesn’t always follow Vetrix’s orders and as he puts it, “grovels” to him. 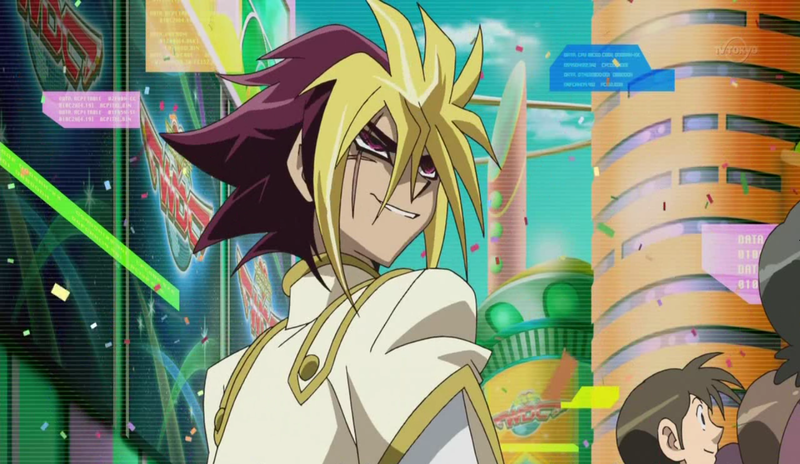 Opposite to Dextra’s cold-blooded personality, Nistro is a very high-spirited person, evident to how excited he got during the opening ceremonies of the World Duel Carnival. In the Japanese version, he has a habit of saying “nori” in each of his sentences. As a child, Quattro was not the brutal Duelist he was before, but he had a tendency to tease Trey like normal brothers do and kept taking his cards. He also had respect for Quinton back then as he returned Trey’s cards when Quinton told him to. When pretending to be kind, he also refers to himself using the pronoun “boku”, but switches his pronoun to his usual “ore” after showing his true self. Quattro’s crest grants him various powers. It protects him from having “Numbers” extracted from him, rendering Photon Hand useless. He can produce portals to quickly travel and escape. His crest comes with a price – it is directly connected to his soul, and should he lose a Duel while wielding a powerful “Number”, he will fall comatose. 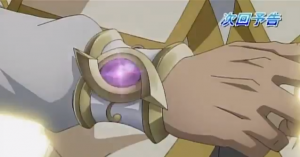 Quattro later acquired a bracelet that was invented by their brother, Quinton, granting them the abilities of their father’s crest once again. Before Dueling Bronk and Caswell, Quattro had obtained at least ten “Numbers”. One of them, “Number 32: Shark Drake”, is given to his brother Trey. Among the others “Numbers” are “Number 15: Gimmick Puppet Giant Grinder”, “Number 40: Gimmick Puppet of Strings” and “Number 88: Gimmick Puppet of Leo”. When Quattro returned to aid Yuma against the Barians, Yuma allowed him to use his three “Gimmick Puppet” “Numbers” again. After Dueling alongside Reginald against Chironex, he obtained “Number 4: Stealth Kragen”, but it turned out to be a fake and was eventually destroyed. In his next Duel against Nash, Quattro used “Rank-Up-Magic Argent Chaos Force” to upgrade his “Gimmick Puppet” “Numbers” into new forms – “Number C15: Gimmick Puppet Giant Hunter”, “Number C40: Gimmick Puppet of Dark Strings” and “Number C88: Gimmick Puppet Disaster Leo”. Following his defeat by Nash, all of Quattro’s “Numbers” were taken by the Barian Emperor. 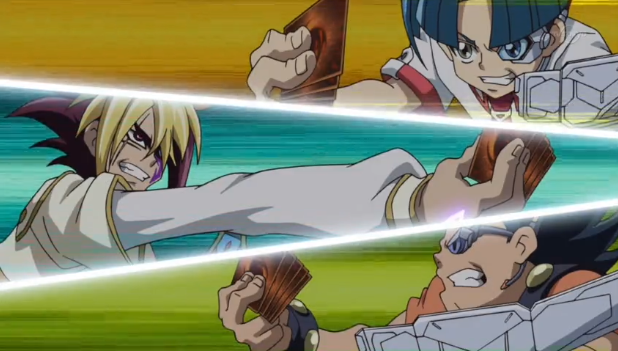 Quattro used to play a “Gravekeeper’s” Deck, based on the cards seen when his Deck “fell” on the floor during the National Duel Circuit. 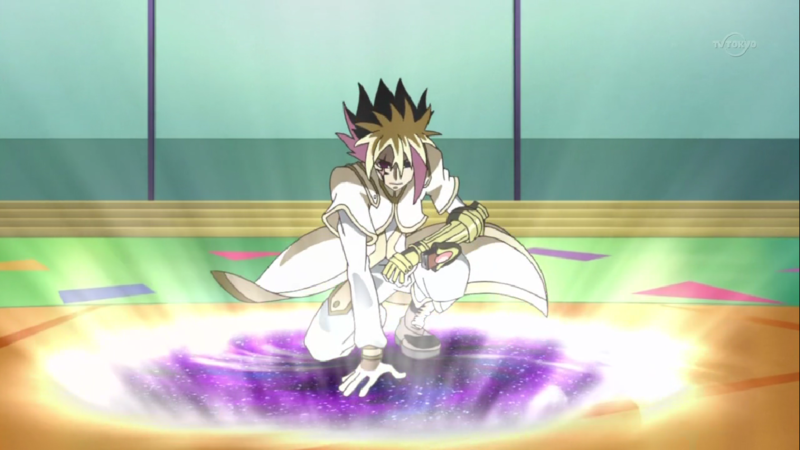 Quattro uses a “Gimmick Puppet” Deck, primarily focused on Xyz Summoning his “Number” monsters quickly. He usually opts for an effect damage strategy in the early game, using cards such as “Gimmick Puppet Egg Head” and “Attack Gimmick” to do so. Quattro’s Deck also features a One Turn Kill strategy centered around “Number 15: Gimmick Puppet Giant Grinder” and “Gimmick Puppet Princess”. As he needs Level 8 monsters to Xyz Summon his “Numbers”, Quattro uses several cards to easily gather them, such as “Gimmick Puppet Des Troy” and “Junk Puppet” in addition to cards such as “Level Doubler” and “Gimmick Puppet Gear Changer” to modify Levels. He also utilizes “Gimmick Puppet Nightmare” and “Triangle Gimmick Box” to make Xyz Summoning his “Number 88: Gimmick Puppet of Leo” easier as it requires three Level 8 monsters. Quattro later acquired “Rank-Up-Magic Argent Chaos Force”, giving him access to “Number C” monsters.